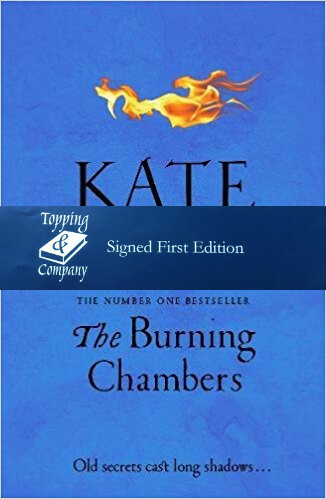 All signed editions from Topping and Company Booksellers will be wrapped with great care in protective packaging and shipped securely via courier to ensure safe delivery. Hardcover New and Signed First Edition. Dust jacket is in fine condition. Bringing sixteenth-century Languedoc vividly to life, Kate Mosse’s The Burning Chambers is a gripping story of love and betrayal, mysteries and secrets; of war and adventure, conspiracies and divided loyalties . . . Carcassonne 1562: Nineteen-year-old Minou Joubert receives an anonymous letter at her father’s bookshop. Sealed with a distinctive family crest, it contains just five words: SHE KNOWS THAT YOU LIVE. Before Minou can decipher the mysterious message, a chance encounter with a young Huguenot convert, Piet Reydon, changes her destiny forever. For Piet has a dangerous mission of his own; Piet will need Minou’s help if he is to get out of La Cite alive. Toulouse: As the religious divide deepens in the Midi, and old friends become enemies. Minou and Piet both find themselves trapped in Toulouse, facing new dangers as sectarian tensions ignite across the city, the battle-lines are drawn in blood and the conspiracy darkens further. Meanwhile, as a long-hidden document threatens to resurface, the mistress of Puivert is obsessed with uncovering its secret and strengthening her power . . .
Online pre-orders for this title are no longer available. Please contact the bookshop to enquire about availability.